Actor Aamir Khan is currently wrapping up the post-production work on his upcoming film on the Phogat family, Dangal. Catch had previously reported that Aamir will be seen next in Secret Superstar, a film by his former manager Advait Chandan. Shooting for the film kicked off in July. However, according to the latest update, Aamir will not be seen in the lead role in the film. The actor will have an extended guest appearance in the film instead. According to a report by a leading daily, Aamir will play the mentor to an aspiring singer. 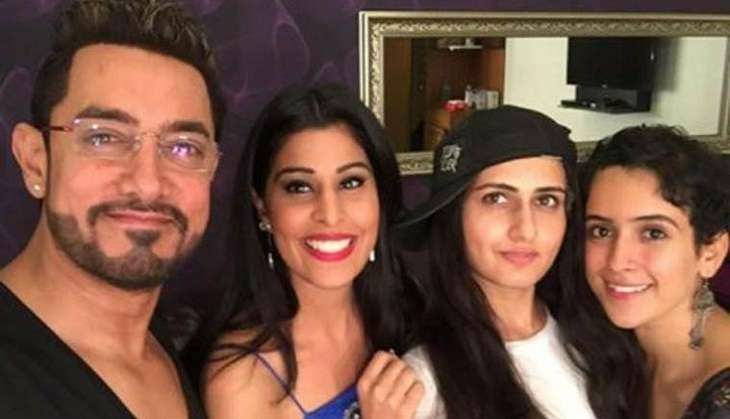 Aamir can be seen posing with actress Aarti Kherterpal, who is working with him again after playing the role of his daughter in Dangal. It has also been revealed that singer-actress Monali Thakur - who has acted in Nagesh Kukunoor's Lakshmi and Aamir Khan's PK - will play herself in the film. More details about Secret Superstar awaited!